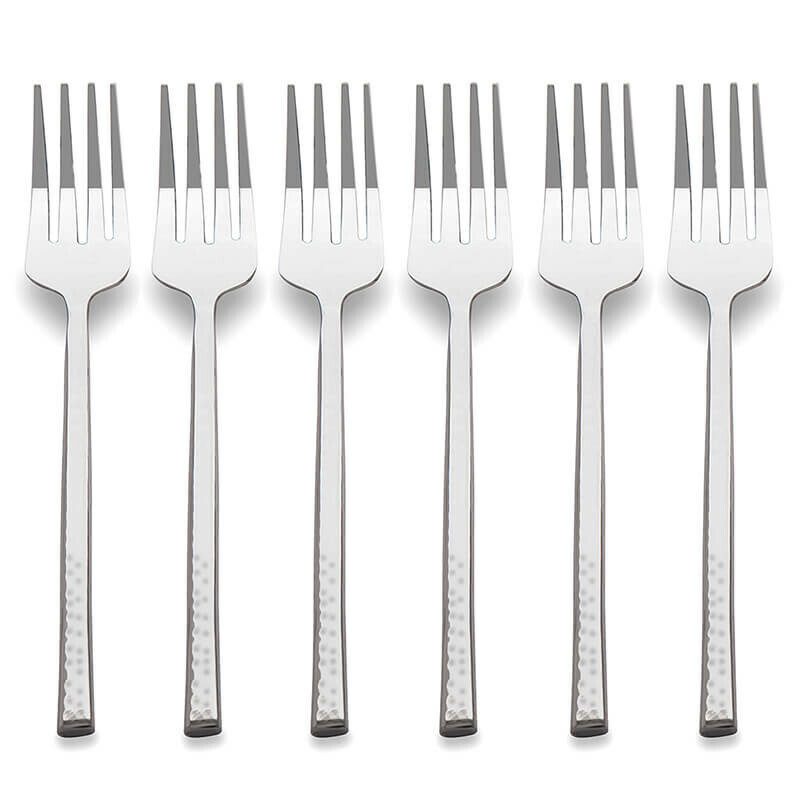 6-Piece Dinner Fork Set is constructed of high quality stainless steel and will stand up to the rigors of everyday use, stylish and contemporary for both formal and casual dinner settings. A gleaming mirror finish overall completes the look, will make a beautiful addition to your dining table. 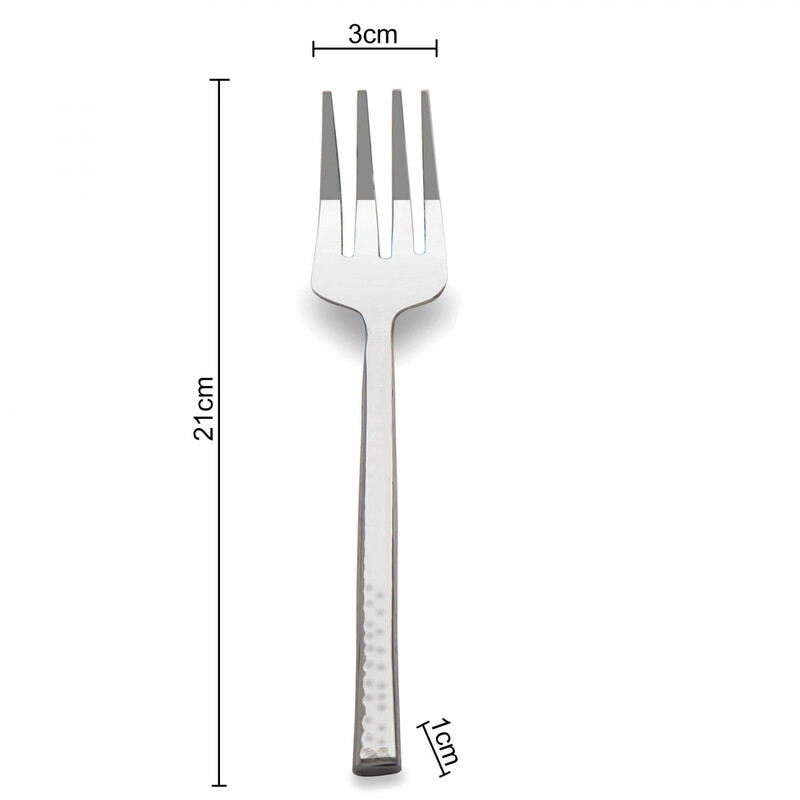 Tapered handles well-balanced to fit securely in your hand, durable strong construction that will last for years to come and simple and easy to clean, dishwasher safe (no harsh detergents).